If you are in the market for a new smartphone keep an eye on your local Verizon store this weekend (December 4 to December 7). If rumors are true they’ll be having a BOGO (aka Buy One Get One Free) sale that will allow anyone purchasing either the Droid or Eris to also get a free device. 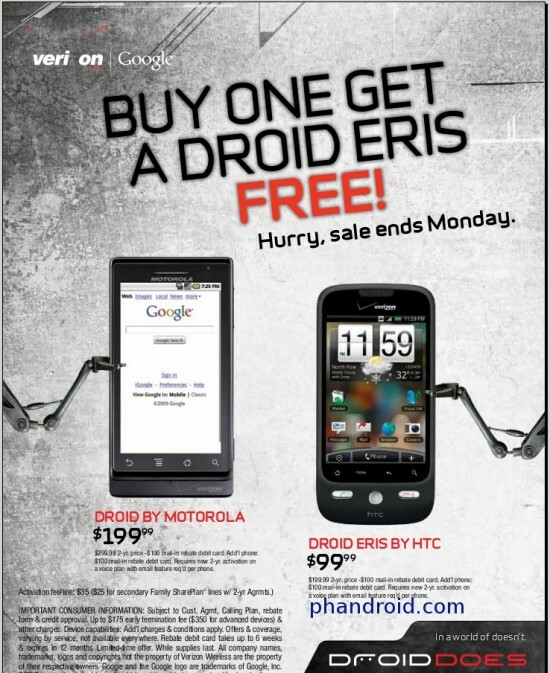 Update: The BOGO offer is only allowing a free Droid Eris and not a buy one Droid and get one Droid – you can only buy a Droid and get an Eris free. Naturally they expect you to enter into a 2 year service agreement for each line. 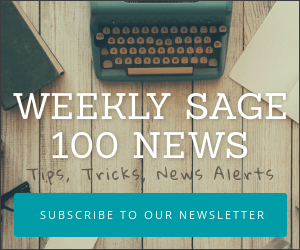 And data costs add $30 per smartphone to any family plan. Still, this is not a bad overall deal. 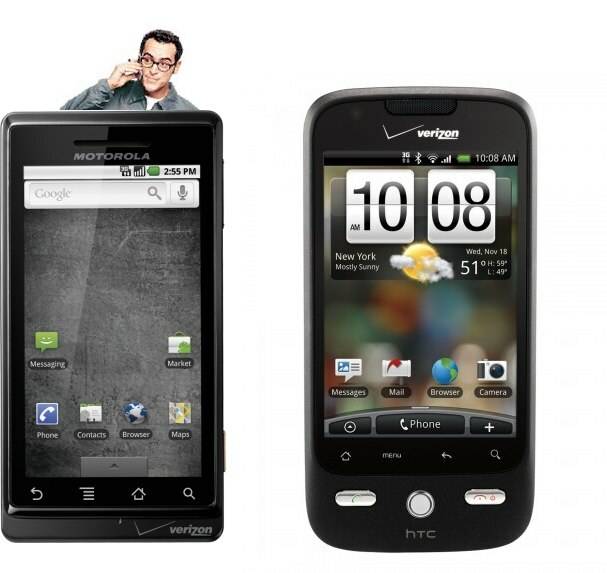 Presently the Verizon stores sell the Droid for $299 less a $100 rebate and the Eris is $199 less a $100 rebate.